"Nothing surprises me about the extent of greed or rapacious abuse of power," says documentary filmmaker Alex Gibney. It's hardly a surprising statement coming from the Academy Award-winner whose films have explored the Enron scandal, CIA black sites, Detroit's war on electric vehicles, a Harlem drug lord and Henry Kissinger. Gibney's latest film, "Casino Jack and the United States of Money," examines the rise and ignoble fall of notorious Washington lobbyist Jack Abramoff - and, more broadly, the culture of corruption that pervades America's political system. Abramoff entered the Washington scene in the early 1990s and soon established himself as the most successful and free-wheeling of lobbyists. Forming a tag-team of sorts with Republican Rep. Tom Delay, who wielded extraordinary power over the party's distribution of fundraising dollars as Majority Whip (and later Majority Leader), Abramoff was able to sell more access more profitably than anyone had ever seen. It's perhaps not surprising that it was competing lobbyists who dropped the dime on him, leading to a four-year prison sentence. Most of all, it was his propensity to push the envelope when it came to political wheeling and dealing. "He broke multiple sound barriers," Gibney said. "Everything he did was extreme, which was his great virtue from a filmmaker's perspective because you can see the rule by the exceptions. It was an exaggeration, I should say, of business-as-usual. Everybody else does it, he just did it bigger and more outlandishly than everybody else." Abramoff's conservative ideology meshed with that of the GOP power brokers who ruled Congress beginning in 1994. But his downfall came after bilking Native American tribes of millions of dollars in fees, which he pocketed or passed on to other interests. He is currently nearing the end of a four-year prison sentence at a minimum-security prison camp in Cumberland, Md. Gibney (left) found the story of Abramoff's rise and fall "wickedly funny." "You think of these august corridors of power, and here he was funneling money from the government of Malaysia through a lifeguard in Rehoboth Beach in order to sell a meeting with the president for a million bucks," said Gibney (left). "You can't make that s**t up!" Nor would you need to, with a political system that welcomes such characters with open palms. Born in New Jersey and raised in Los Angeles (his father was president of Diners Club International), Abramoff displayed an early sign of his conservative ideology (and theatrical tendencies) when, at age 12, he was inspired to convert to Orthodox Judaism after watching the musical "Fiddler on the Roof." A football player and wrestler in school, he became a leader of the College Republicans at a time when Ronald Reagan's ascendancy to the White House was a siren call for young conservatives. Together with Ralph Reed (who later became leader of the Christian Coalition) and future anti-tax guru Grover Norquist, Abramoff devised agitprop demonstrations against Communism, promoted the cause of "freedom fighters" in Central America, and preached the destruction of liberals using the colorful language of George C. Scott's "Patton" ("Spill their guts! Shoot them in the belly!"). When the Republicans won control of Congress in 1994, Abramoff was ready. The tenets of Orthodox Judaism didn't stand in the way of Abramoff expanding the use of influence (through gifts, junkets, visits to skyboxes at sports events, campaign donations, and golf trips to Scotland) to extraordinary levels, while conspiring to spread the wealth among his associates. As DeLay rose to Majority Leader, Abramoff's influence among Republican lawmakers became incomparable; his access to the Bush Administration was solidified when his assistant Susan Ralston became the personal assistant of Karl Rove. Perhaps Abramoff's most notorious lobbying came via the Mariana Islands, a U.S. territory where American labor laws did not apply, enabling foreign business owners to open sweatshops producing apparel bearing the "Made in USA" label while workers were held in indentured servitude. For years Abramoff (lobbying for the islands' business community), DeLay and others in Washington protected the Marianas from a Congressman seeking to investigate human rights abuses there. They promoted the Marianas as a "petri dish of capitalism" and a "free-market paradise," and led whitewashed tours of the islands for visiting dignitaries, complete with golf outings and karaoke. The human smuggling, prostitution, and threats against human rights activists, however, continued unabated. "At a certain period of time it was a virtual slave society," Gibney said, "and yet these guys were selling it as freedom. Well, it was freedom for the factory owners, but they never really investigated, or wanted to investigate it - or wanted to upend their own ideology because it was too perfect! So they imagined it to be what they wanted it to be. It was an act of imagination. Like a Solomon the Wise. . . .
"A lot of people find it ironic when deeply religious men and women do immoral things. I used to find it ironic - I don't anymore, I think it's part of the package," Gibney said. "I think it's all too consistent, that very often when you have people like Jack or Tom DeLay or Ralph Reed who believe in their own devoutness, they believe that they're good and therefore how could they do bad? There's a kind of 'end justifies the means' self-deception that takes place that I find is very intriguing. "It's not like they sit there and recognize, you know, I am a devout person but I'm going to do some unspeakable things because I feel like it. That's the way a mobster thinks. For Delay and Jack I think they believe fervently in an ideology and that allows them to be willfully ignorant of the cost of their own policies." Gibney was not allowed to tape Abramoff during his prison visits. But the filmmaker was impressed by "how charming he was, what a good storyteller he was, how funny he was, how he peppered his conversation with quotes from movies." It influenced the way he told the story - channeling Abramoff's exuberant personality, and bringing in Stanley Tucci to give voice to the lobbyists' many over-the-top e-mails, such as those where he referred to his own clients as "monkeys," "troglodites," morons" and "mother******s."
Or his warning that if Native American tribes paying him to push their casino interests didn't pony up his inflated fees, and like it, they would suffer "another trail of tears." Rough words, considering the Mississippi Choctaw, Louisiana Coushatta, and the Tigua tribe in Texas gave millions to Abramoff and his partner, former DeLay staffer Michael Scanlon. And where did that money end up? Some was fed to Israeli settlers, and a lot into the pockets of Abramoff and Scanlon in a scam they called "Gimme Five," where they skimmed more than just the cream off the top of their highly-inflated fees. There was ambidextrous lobbying in that Abramoff played both sides - taking the Choctaw as clients to shut down a competing casino owned by the Tigua, and then taking millions more from the Tigua tribe to lobby for reopening the Tiguas' gambling hall. They was also creative money laundering from tribes so as not to embarrass the recipients. When Ralph Reed lobbied the faithful in Alabama about the evils of gambling so they would help block a proposed dog racing track and state lottery, he didn't tell them that he was paid $1.3 million by the Choctaw tribe, who wanted to block competition for their casino. Abramoff helped shepherd some of the money through Norquist's Americans for Tax Reform, which gave Reed cover (and Norquist a cut), and through a shell corporation created by Scanlon. When the Senate Indian Affairs Committee investigated, it was calculated that Abramoff and his partners had charged tribes a total of $85 million, with the actual services rendered barely itemized, if at all. Not everyone was willing to cooperate with the filmmakers. "On a subject like this, particularly when a federal investigations is still ongoing, a lot of people don't want to talk at all," Gibney said. "Sometimes you had to wait for them to get out of prison, or you had to wait for them to be officially sentenced so that they could talk without fear of the Department of Justice." Even acquiring images or video was a big problem, but sometimes the gods smiled upon them, such as locating a cameraman who was present at the "Jamba Jamboree" in Angola in 1985 who still had ten hours of footage, or early TV coverage of College Republicans wearing combat fatigues and smashing a fake Berlin Wall. Gibney even got audio of phone calls in which Abramoff made his pitch to Indian tribes. The producers were denied permission by Nancy Pelosi's office to film in the Capitol, and they were refused interviews by some who were close to Abramoff. Even Dolph Lungren! Sadly, there are no pithy anecdotes from the filming of "Red Scorpion" - produced and co-written by Abramoff - in which Lungren plays a turncoat Russian agent who leads a band of anti-Communist black revolutionaries in Africa. "I tried very hard to get Dolph Lundgren," Gibney said. "I had women call because whenever a woman called he would at least answer the phone. But we never got very far." Of those who were willing to talk for the cameras, some spoke from positions of contrition, such as Bob Ney, the Ohio Republican Congressman who pled guilty to charges of conspiracy and making false statements relating to Abramoff's Indian lobbying scandal, and who served 17 months in prison. "I think in Bob's case he had done his time and he was ready to talk, and interested in talking because I think he felt that we had a serious purpose, which was to talk about how broken government had become," Gibney said. "He felt he had something to say about that. I think also he talked because he knew we had talked to Neil Volz - now there's been a reconciliation of sorts between them, but at the time we talked to Bob he knew Neil as his former friend who had helped put him in prison. So there's always an agenda like that." Of Tom DeLay, the Texas Republican who was ousted from the House leadership and charged with money laundering and breaking campaign finance laws (and most recently appeared as a contestant on "Dancing With the Stars"), Gibney said, "I don't think there was any repentance there at all. I think DeLay believes he was doing the Lord's work, and that the only problem with the system is that there's not enough money in the system - which is a jaw-dropping comment to me." Indeed, DeLay is seen in the film saying that as long as there is transparency, he doesn't think there should be any limits to how much can be contributed to campaigns. "There's never any way to make it truly transparent," Gibney observes. He recalls one solution to the problem of campaign fund raising: "Somebody suggested that every member in Congress should be forced to wear a Nascar jacket, and attached to it the decals of the various corporate sponsors, so that everyone knows who they're speaking to and representing. Because they're not representing the people of Iowa; they represent Merck or Pfizer or Goldman Sachs. 'The Senator from Merck wishes to ask a question …' "
The recent ruling by the Supreme Court in Citizens United v. Federal Election Commission in effect ended limits to what corporations could contribute to political campaigns. But Gibney does not think that ruling will serve to cut out the middle man - the lobbyist who, in Abramoff's case, served as a convenient conduit or front for funds, particularly in politically dicey situations. "But somebody needs to convey that message in a way that's sly and sophisticated and doesn't contain any explicit quid pro quo. So I think lobbyists are always a convenient and important tool, and sometimes a very useful and efficient tool. You can't have two million people waiting outside the office of a Congressman or a Senator waiting to get their five minutes." But the SCOTUS ruling, he admits, is "just further depressing news that citizens' voices will be drowned out." Gibney's film is dense with information, covering a broad swath of interconnected topics. It's almost too much, but the tipping point is perhaps due to the psychological feeling of powerlessness watching wads of cash play such a defining role in the body politic. "We had a screening of the film at Sundance, and one of my favorite sections of the film I had to cut out - the film had just gotten too long, it was too much for everybody to hold," Gibney said. "There was a wonderful section on the first Medicare attempt by the Republicans which Tom DeLay pushed through with ruthless efficiency, the Medicare Modernization Act, which was a huge giveaway to corporate interests. 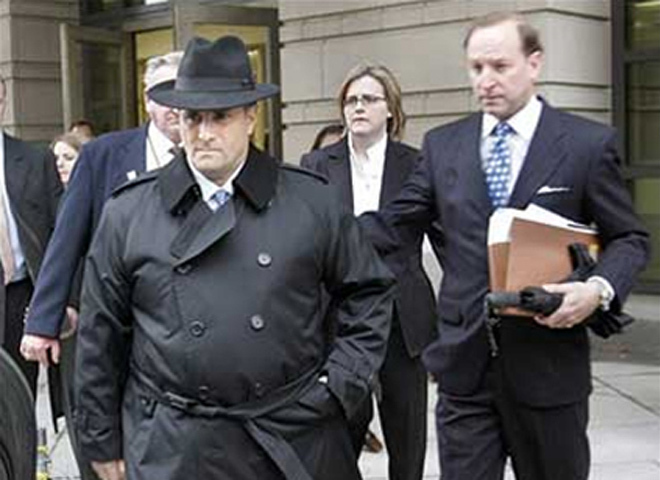 And Jack Abramoff and his pals had a role to play." In 2003 Republicans pushed through a bill to increase prescription drug benefits to seniors. But the benefit was unfunded by taxes or other revenues, and Medicare's chief actuary told the Washington Post he was ordered not to reveal the true cost of the bill to lawmakers. The cost of the drug benefit alone is now projected out to be $18.2 trillion. "It was a great sequence, but there wasn't enough about Abramoff in it, and we just felt the pacing was wrong. We had to take something big out, so we lost it. It was painful but we did it. I think we're going to post it on the Internet. And where does Abramoff stand now? "He's repentant," said Gibney, "and I think he sees lobbying and that process as repugnant. I don't think he's lost any of his ideological conviction about government. I think he's still a Ronald Reagan Republican in that sense - Government is not the solution, it's the problem, and the only way forward is to denude the government of as much money as possible, lower taxes so that government doesn't have money to waste (...or spend on FEMA or health care or roads!). "I think there's an aspect of Jack that's very much still in the Grover Norquist camp - drown government in a bathtub, kill it. But the idea of greasing people I think he finds really distasteful, and the whole lobbying profession, at least he says, disgusting." Perhaps it was professional enmity: Lobbyists dropped the dime on Abramoff, contacting journalists at The Washington Post and other papers - angry, Gibney said, "because he was making too much money!" Not only was Abramoff's outsized reputation discrediting their profession, he was also taking potential clients. Was his lobbying a success? "If you ask Jack he will say, 'I delivered for my clients,' and to some extent he did," Gibney said. Campaign finance is like the weather: Everyone complains but nobody does anything about it. But while politicians need to spend an unending amount of time to raise huge amounts of money just to run a campaign, lawmakers don't seem interested in further regulating costs, or limiting commercial advertising. Gibney points out that while politicians don't like the fundraising system, "they also don't want to not get elected! So they'll do whatever it takes to get elected, and in the meantime they're not going to opt out of the system until everyone else had decided to opt out. "I think Congress can do something about it. If Congress wanted to voluntarily set (like many states do), say, a $50 limit for campaign contributions [as] the maximum that anybody could give, that would certainly democratize the process. If they wanted to set spending limits, they'd do it if they wanted to, even despite the SCOTUS [ruling]." That raises the prospect of compounding the fundraising, by having to raise funds from 100,000 donors rather than a select, deep-pocketed few. Inefficient? Yep, but, Gibney says, "that's where we come in. Otherwise they're dong what Chuck Schumer does which is to go to a handful of people on Wall Street to give him scads of money And then he gives them goodies back so they pay half the income tax that we pay. That doesn't seem very fair!" "Casino Jack and the United States of Money" opens in selected cities on Friday, May 7. Lyrics from "Fiddler on the Roof" by Sheldon Harnick, published by Hal Leonard.